We’re coming up to my absolute FAVOURITE time of the year: Christmas!! Cue all the Christmas movies, tree decorating, yummy treats and, of course, shopping for Christmas presents. 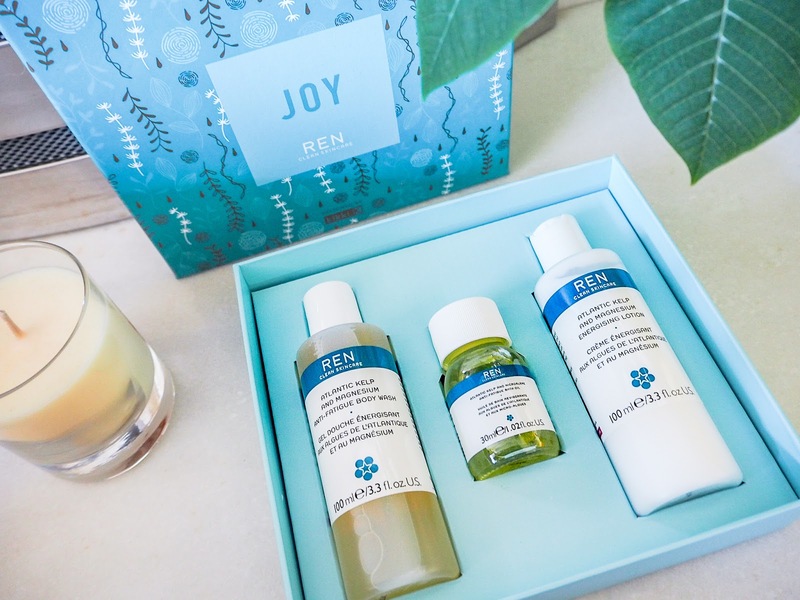 With Christmas shopping in mind, I have one of REN’s new Skincare Gift Sets to share with you from their holiday offering for this year. For years now, REN has been one of my go to brands for skincare. I have very, very sensitive skin. I’m talking allergic reactions to the sun and vitamin injections kind of sensitivity (yes, seriously). It’s something that developed from having Fibromyalgia and it’s made looking after my skin that much more difficult. After doing my research I came across REN and their range designed specifically for sensitive skin. I use a few of their products now as part of my everyday routine, and they’ve truly made a big difference. So I’m always interested in trying more from them. A few weeks ago I was very kindly sent their Atlantic Kelp and Magnesium Mini Gift Set to try. Featuring mini versions of some of their best-selling Atlantic Kelp range, this Christmas gift set includes their Atlantic Kelp and Magnesium Body Wash, Body Lotion and Bath Oil. Formulated to ‘lift your senses while cleansing and nourishing your skin’, with ‘a blend of anti-fatigue oils that’s perfect for men and women’, I was excited to try everything. I’ve been using all three of the products for a few weeks now in order to really test them out and I’ve loved each of them. They have a nice, uplifting scent to them, nothing too strong or offensive. I’m 100% the wrong person to try and describe a smell, but it’s very pleasant, and it’s neutral enough to make this appealing to both men and women as described. The Body Wash is lovely to use, creating a good lather and leaving just a slight lingering scent afterwards. A little goes a long way, and despite constant use I’ve still got a good amount left in the bottle which is great from mini sizes like this. The Body Lotion is similar, you don’t need much. It sinks into the skin well and provides moisture and nourishment. I actually used more than usual on my legs after shaving and coming up in a bad rash and this lotion really helped to soothe it. The Bath Oil just requires a small amount poured into your bath water to create a nice, relaxing scent. It made my skin silky and soft afterwards and the scent remained lightly through the day which was nice. The anti-fatigue aim through the use of magnesium oil was especially intriguing to me. I suffer from quite severe fatigue and exhaustion through my illness and it’s difficult to deal with. In the past I’ve tried magnesium oil to try and help combat it, but with having such sensitive skin I couldn’t continue as it caused a lot of itchiness and irritation. With these products my skin reacted perfectly fine with no irritation at all. I can’t say whether it helped my fatigue or not, it’s far too bad and up and down to tell whether these helped, but they did help me relax, and that’s always a win for me. I tend to love gift sets like this for Christmas presents, both to buy for others and to receive for myself. 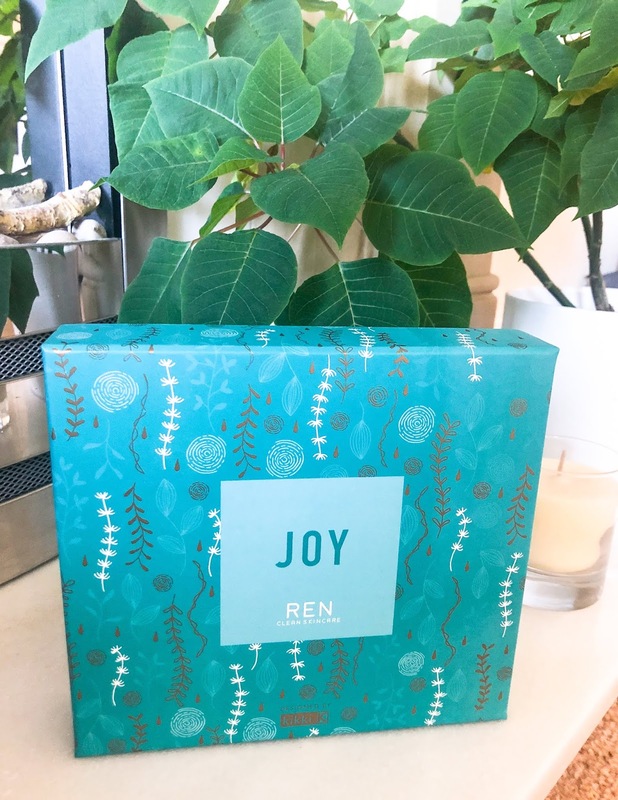 The packaging for this year’s collection of REN gift sets was designed by renowned Swedish stationery designer, kikki.K. I’m a bit of a sucker for designer gift boxes and I love the design for the gift set I received, it definitely makes for a stylish present. I suppose what’s considered the most important part of any review is would I recommend this product? The answer for me is yes, I definitely would. However, I think the better question to ask is would I buy it? Yep, I really would. I’ve loved each of the products included in this gift set. As much as I wanted to look for a negative to include as a downside to give a fair review, I just couldn’t find one. It’s a lovely gift set with great products inside. What’s not to love? Now bring on Christmas! This gift set was kindly gifted, however this review is my own honest opinion. You poor love. Fybromyalgia is terrible from what I hear. I used to work with a girl who suffered from it. Good to hear these have helped you relax a little more. Looks a fab set and the perfect Christmas gift! I too adore this time of year! My favourite season by far. Have a lovely Evening Katie!